This manicure was inspired by a dress that my cousin wore last weekend. 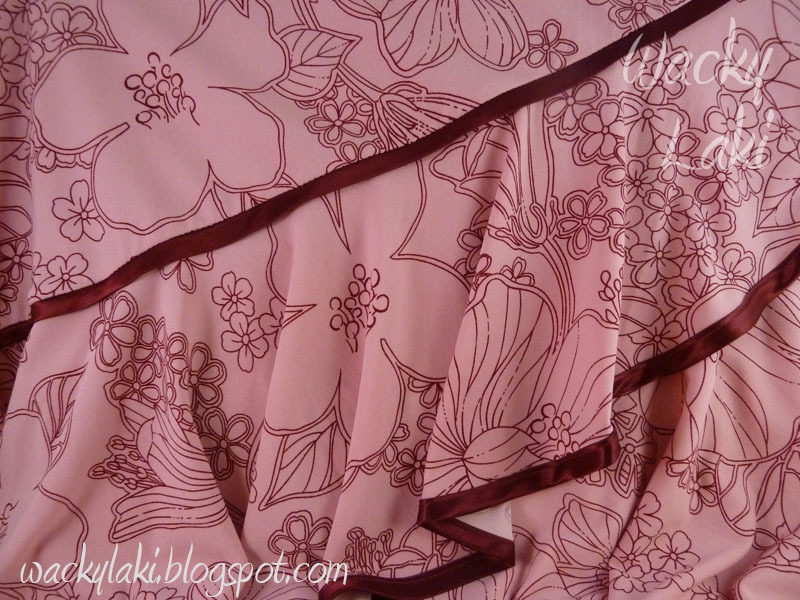 It is a soft mauve color with a large floral pattern. 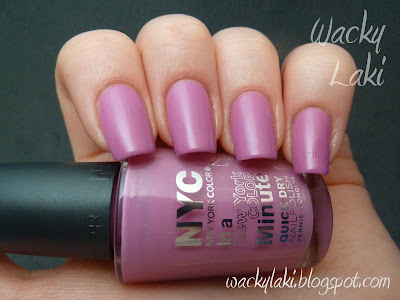 The best polish to match it in my collection was Lincoln Square Lavender. To match the pattern we chose a reverse floral stamp so the top color would be dominant and only outlines of the base color to show. She painted her nails dark and tried stamping with Lincoln Square Lavender which turned out to be too light and a bit of a mess. The polishes still were still sitting out on my table so I decided to try to reverse them. Lincoln Square Lavender was used for the base. It is a pretty soft mauve color. Application was less than ideal. The polish was pretty thick and even though it did not pull it was difficult to get a thin even coat. I applied three coats to get a nice and even opaque color. Here is the pattern on the dress which was the inspiration for this manicure. 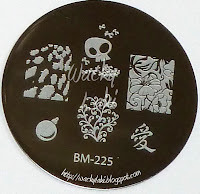 It would have been nice if the dark base/light stamping worked, but I like the reverse combination as well. this is super cute, I have that plate and I had never noticed that image... will have to use it soon. What a gorgeous polish! And what beautiful perfect nail you have! And the stamping is awesome! 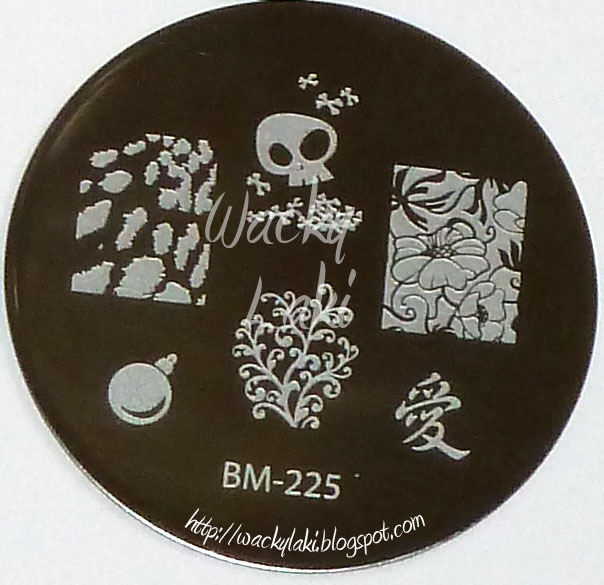 Ouu, I love what you did with the stamping! 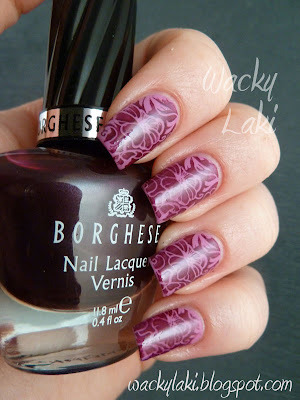 Great color and you made it so lovely with the stamping. Love it!